Retirement living is about celebrating life. Our residents are celebrating their first Christmas as part of The Benson Toorak community, with none of the stress that can often surround this time of year. 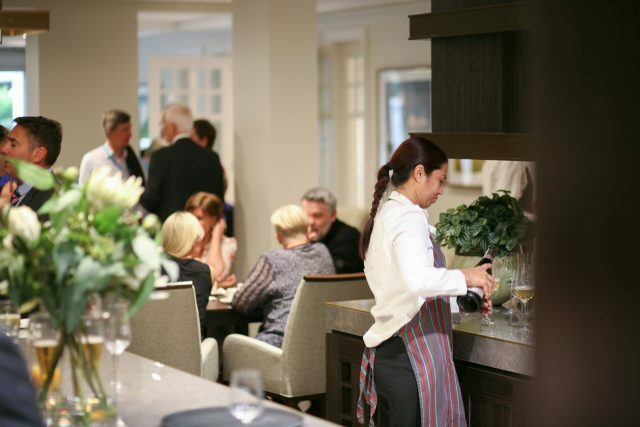 The Benson Toorak is a place for gathering with family and friends, marking the festive season with old traditions, and making new ones. The Christmas period can be celebrated stress-free. Our residents are gathering with family and friends in beautifully appointed shared spaces, enjoying quiet evenings in their luxurious apartments or sharing a toast with new neighbours; to new beginnings. There’s a buzz in the air at The Benson Toorak. Day-to-day life is blossoming in the community and friendships are forming fast. Events and activities create opportunities to mingle and get to know one another watching the Carols or New Years Eve fireworks together. Whether it’s a serene, adventurous, reflective or active holiday season you desire, life at The Benson Toorak is always full of inspiration and like-minded friends. This is how we’re enjoying our Christmas period. We’d love you to be part of The Benson story next year, so what are you waiting for? Make 2019 the year that you open a new chapter. Join the chorus of Benson residents saying, ‘I only wish I’d done it sooner’. Only a very limited number of ready to occupy apartments remain from $925,000. It’s time to cut the stress, embrace quality of life, all in the heart of the community you know and love. Call John, Anne or Tracey today on 1300 28 88 66 to arrange a private viewing. St Peter’s Development and Renewal Committee Chair, John Ralph AC, spoke to The Age about the travails and triumphs of bringing Melbourne’s most prestigious retirement lifestyle offer to Toorak. It all started with putting together the right team of advisors. From committee colleagues with years of acumen and executive experience, to acclaimed architects Demaine Partnership, and builders, Buxton Construction. You can view the original article from Tim Boreham here. Decide today, move in tomorrow. There is a limited number of one-and two-bedroom properties ready to occupy from $925,000. Act quickly to avoid disappointment. They say travel soothes the soul. Whether it’s the freedom of a weekend trip down to the Mornington Peninsula or that three week holiday on the Amalfi coast, older Australians are increasingly looking to travel during their retirement. But it’s easy to become weighed down by everyday life – garden maintenance, security, pet care, cleaning, renovations – and plans quickly get pushed to the side. Not anymore, not at The Benson Toorak. 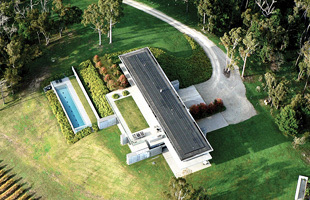 The Benson Toorak offers the freedom that you deserve, far beyond the walls of your home. Feel liberated by luxury services at your fingertips. It’s time to book that next trip to Italy and let The Benson Toorak take care of the rest. Travel can be indulged on a whim, without the logistical baggage of a large house and property. No struggle to find a house sitter again; just pack your case, and away you go. The Benson Toorak will ensure the security and upkeep your home so that it’s ready and welcome for your return – safe, sound and just as you left it. Forget those overgrown lawns and crammed letterboxes, it’s all in the past. Security and safety is first and foremost at The Benson Toorak. You can feel comforted in knowing that you and your lifetime of treasures are protected, with vehicle registration recognition, credentialed parking access, and integrated burglary-resistant features in all apartments. Day or night, The Benson is secured, though subtle in delivery so as not to disturb the ambience. Whether you’re at home, out for a coffee or sipping a spritz by a coastal citrus grove, rest assured, your home is in good hands. It’s time to live your best life with freedom at The Benson Toorak. A very limited number of apartments remain. Call 1300 28 88 66 to book a tour today. It’s easy to enjoy a warm glow amidst a bitter Melbourne winter at The Benson Toorak. Whether it’s pastries and the paper, read by the morning light filtering through full-height windows in the lounge, or cosying up to the fireplace with a glass of wine and new friends, you’ll never feel the chill here. A modern masterpiece designed to cater for all of life’s luxuries, The Benson Toorak offers picture-perfect retirement living. Function, comfort and luxury reside happily together, upheld by exquisite design. Detail is considered to the nth degree for the ultimate lifestyle. Each apartment is masterfully built and elegantly appointed, from the stunning fireplace, to hardwood floorboards, plush carpets, heating and air conditioning, and quality, energy efficient appliances. It’s the little things that count and The Benson Toorak doesn’t hold back. Coming home to The Benson Toorak is always an occasion. Through the oak and bevelled glass front doors and into a grand foyer with open fire, ever inviting you to sink straight into an arm chair. Through storm clouds and sunshine, your concierge will be on site and at your service, providing thoughtful and personal assistance. Leave your worries at the door. Beyond the foyer is the beautifully appointed lounge and dining rooms – the hub of the Benson community. Enjoy engaging conversation or contemplation over a glass of fine wine. Warm your mind and body in front of the fire. Settle down with a book, or rug up with hot drink on the terrace. It’s your choice. Brand new, architecturally designed and delivered with exceptional detail that speaks for itself, this is the luxury you deserve. Life has already started for many at The Benson Toorak. With a very limited number of apartments remaining, now is the time to make the move. Come home to warmth, come home to luxury. Call 1300 28 88 66 to book a tour and see it for yourself. Judy moved into The Benson Toorak in March 2018, just two days after opening. As one of our first residents, Judy is well placed to share her early insights and experience of life in Melbourne’s most prestigious retirement community. Like most of The Benson Toorak’s residents, Judy is a born and bred local. Hailing from East Prahran, one of the things that attracted Judy to The Benson was its proximity to everything she’s known and loved about her life. “Nearly all the residents I’ve met are locals from Armadale, Malvern, South Yarra and Toorak. Like me, they wanted to continue living in an area that’s close to family and friends, and not have to change doctors or hairdressers or grocers… I think that was a big draw card for a lot of residents. It certainly was for me,” said Judy. Judy had noticed The Benson in its early stages of development, but it was only when a friend of hers told her that they’d bought an apartment that Judy started to seriously consider it. “The family house in East Prahran was lovely, but it was over 100 years old. I certainly could have stayed there, but when I saw the apartments at The Benson, it occurred to me that life could be much easier living in beautiful surrounds where so much is taken care of. “My new apartment in The Benson has been thoughtfully designed, it’s very spacious with a lovely outdoor terrace that I use nearly every day. It’s very easy to keep clean, and take care of. If I need assistance with something – hanging a painting, or sending out dry cleaning – the staff are there to help. One of the major aspects of living at The Benson is its interesting, friendly and kind residents. Judy notes that many of the residents are from similar walks of life, and that getting to know each other over the last few months has been one of the best things about her experience so far. “The other residents are just lovely. We have regular social drinks (we’re actually in the process of forming a committee to oversee social gatherings), and we’re very much looking forward to sharing meals together occasionally. “But that being said, we’re careful not to live in each other’s pockets. Everyone here has very full lives outside The Benson – people are often off on holidays or out and about seeing friends. We respect each other’s privacy, which I think is very important as well,” said Judy. Interested? Judy has one piece of advice. There is a very limited number of apartments left for sale. Book a tour today. Alluring and impressive – from first approach. From the street, it’s immediately clear that The Benson Toorak is not your average retirement village. In fact, without knowing that it is the most impressive and desirable community for older Melbournians, the complex could easily be mistaken as a grand private residence, or impressive collection of luxury apartments – which of course, is exactly what The Benson is – and so much more. Set back, The Benson Toorak sits on prestigious Toorak Road. With autumn well underway, the plane trees that line Toorak’s neighbourhoods are turning amber and gold. Trams slowly work their way up the hill toward the city. Just metres away from The Benson Toorak rests St Peters, the beautiful 107-year-old sand stone Catholic Church. Before even entering the grounds, it’s evident that The Benson is in a league of its own. Once onto the grounds, you’re invited along a wide, stone path flanked by impeccably cropped greenery. A short walk leads to the entrance; entering through large, elegant doors into the building’s foyer. Complete with fire place, arm chairs, curated classic and contemporary artworks and an exotic and impressive mosaic table as the centre piece, it feels like stepping inside a beautiful, private home. The space sets a tone of elegance and grandeur that permeates the entire building. 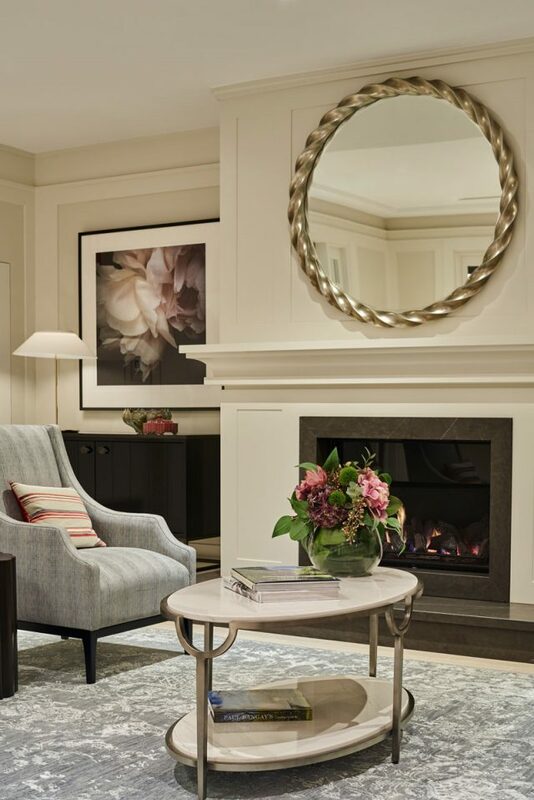 A chic, well-appointed hall leads beyond the communal spaces and on, to the The Benson Toorak’s private residences. Turn right, and find yourself in a spacious lounge, dining area and bar. A central, communal space that’s the heart of the building; a place for residents to unwind, to socialise, to host family and friends. Flooded with natural light from large windows, the space is appended by a sizable, sheltered outdoor area, with barbecues and additional seating for informal get togethers, lunches and dinners. Furnishings and fabrics are rich and varied; from pale French linens, to rich velvets and intricate, colourful embroidery. The space is at once exotic and vibrant, while also remaining classic and tasteful. An exercise in balancing subtle oriental influences, with contemporary interior tastes. In the lounge sits another open fire place; coffee and pastries are ever-present, and the well-stocked bar, only metres away, promises easy afternoons, enjoyed with old friends. The dining area contains larger tables for impromptu or planned gatherings; residents are welcome and encouraged to book the space for private events. The Benson Toorak is now complete. The site was officially opened and blessed by His Grace Archbishop Denis Hart DD in late April. What was once a vision, is now reality. The Benson Toorak’s attention to detail in every fixture, fitting and appointment sets it apart from all others on the market. The quality of design and finish is evident in every room, from the custom-designed box lanterns in communal areas, to their complementary siblings in the apartments’ bathroom sconces; style and sophistication are in the DNA of this place. Most of the first residents have moved in. There is a limited number of apartments left for sale. The time to secure your luxury retirement apartment is now. Book a tour today. 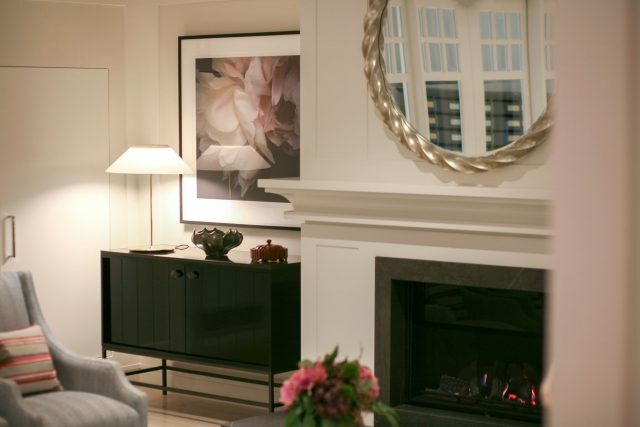 From its inception, the vision of The Benson Toorak began with a challenge – to create a first for Melbourne and its retirement community – the pinnacle of luxurious retirement living. Many have watched with great anticipation as the vision took shape. Now, this vision has become a reality. 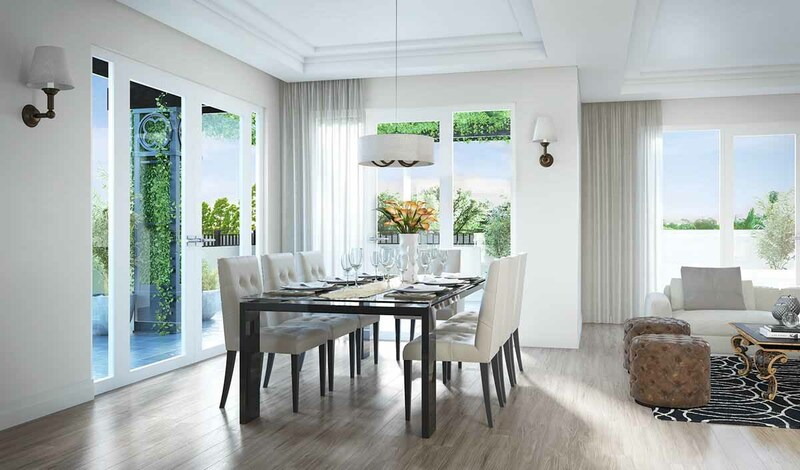 With thirty-three bespoke apartments, generously appointed gathering spaces and manicured gardens in a premier Toorak location, The Benson offers its residents the very best in retirement living. At The Benson Toorak everything you need is at your fingertips. Comfort and luxury are paramount. The Benson has been carefully and methodically planned from the start to provide the ultimate lifestyle for its residents. 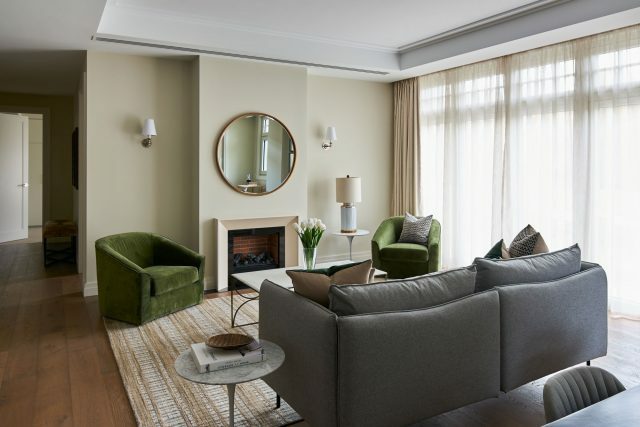 The Benson’s first residents moved into their new residences at the beginning of April; a timing pleasingly aligned with the new beginnings that are synonymous with Easter. Over the month, residents have been busy setting up their new homes, settling into the community, and forging new friendships with each other. For those who’ve been waiting to inspect the building with their own eyes, the wait is over – your time is now. 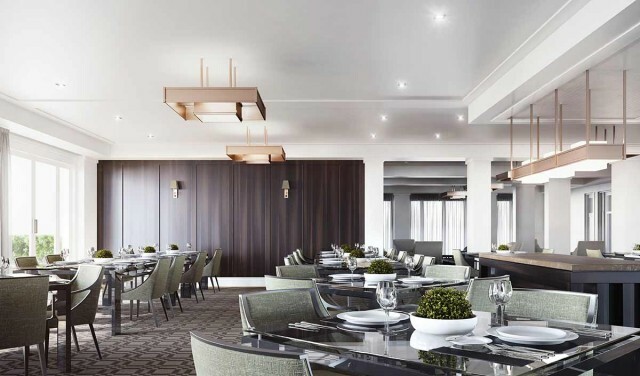 The Benson Toorak’s design was conceived by Demaine Partnership, award-winning masters of luxury, high-quality retirement communities across Melbourne’s South-East and the peninsula. Many residents will recognise their work on numerous high-profile Toorak residential apartment developments, and the redevelopments of the Sorrento, Royal Melbourne and Kingston Health Golf Clubs. 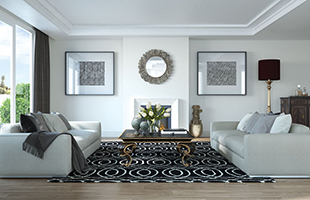 The Benson Toorak offers the luxurious retirement living you deserve. There are only a limited number of residences remaining. Arrange a tour today to see for yourself. The time to act is now. What do daily exercise, being socially connected, having a religious faith and being part of an active community have in common? Of course, they are central tenants for a meaningful life, but more specifically, research shows that it’s these things that the world’s longest-living and happiest people have in common. The key to good well-being, is a well-rounded approach. A healthy retirement – much like a healthy life – is about balance. However, balance can be difficult to strike as previously simple tasks become more challenging. Cooking a healthy meal isn’t easy in a kitchen designed around the needs of someone closer to the age of 30 rather than 70. Getting out and about to exercise can seem daunting and unappealing when faced with the prospect of walking around the neighbourhood alone, or attending a yoga class filled with under 25s. Maintaining regular social connections with friends and family may be challenging if a long drive is required. This is why our residents have decided to make the move into The Benson, where – simply put – life is easier. Apartments are designed consummately to deliver space, light and ease of access. Kitchens and bathrooms prioritise flexibility and mobility, ensuring that residents can remain confident and in control of their surrounds for years to come. The onsite gym encourages regular exercise, from independent sessions, to one-on-one personal training. Group yoga and Pilates offer a low-impact, socialised approach to keeping fit and mobile. Social connection is at the heart of The Benson, with a variety of places and spaces promoting community relationships. From a fully stocked library (complete with book club), to the onsite club and bar (and regular wine club meetings), to the outdoor terraces and gardens, The Benson has been conceived with mingling in mind. St Peter’s Church and Parish Centre, which sit adjacent to The Benson, offers yet more opportunities to meet with other residents, and maintain connection to the life of the Parish. Many of The Benson’s residents are Toorak locals. They know and love the area. And for many, moving into The Benson has opened up new possibilities to discover their own ‘backyard’. An afternoon at the cinema or meeting friends for dinner is but a stroll away. Its position on the tram line makes getting into town simple. And best of all, residents don’t have to change doctors or specialists or other trusted advisors, as they’re staying local. A village to be a part of. 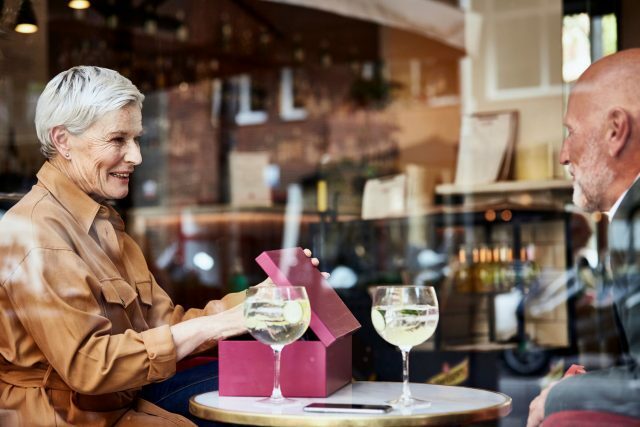 The Benson offers its residents the fundamentals of community and quality of life, while also being among the most superbly appointed retirement offerings in Melbourne. Brand new, architecturally designed and delivered with exacting attention to detail, there are a very limited number of residences remaining. Call 1300 28 88 66 to book a tour. Older Australians are a fiercely independent bunch; living longer than ever before, retiring later in life, socialising more than previous generations. Unsurprisingly, this independence is cherished by them – and their families, for whom it offers reassurance and continuity. Is there a ‘right time’ to consider retirement living? There’s often a mentality among children that they have a duty to keep their parents “independent for as long as possible.” Unfortunately, “as long as possible” often translates to waiting for something to go wrong; a catalyst or trigger that sees families scrambling to work out how best to plan for their parents’ declining mobility or increasing anxiety. Experts frequently warn to watch for ‘trigger points’ – a fall, a lingering illness, the loss of a partner, a break-in or burglary. It’s events like these that make living alone, in even the most well-appointed family home, less enjoyable and more challenging… not just for the person living there, but for children and families too. For some, there’s a resistance to moving into retirement living. For some, there is a perception that it’s the same as aged care (this couldn’t be further from the truth), while for others, the thought of leaving the family home is overwhelming and daunting. This is fair and reasonable. However, the most surprising thing is this. 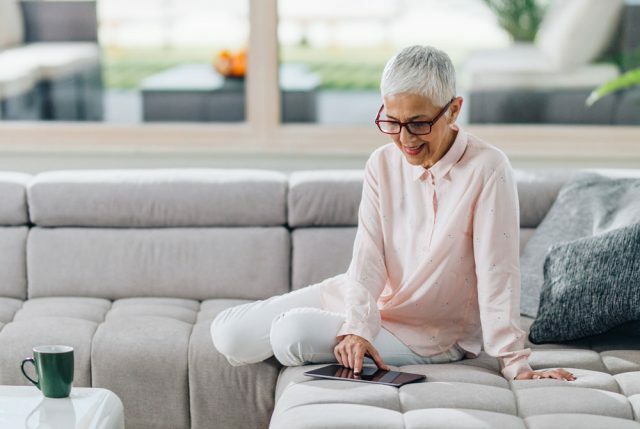 Residents – and their families – find that upon moving into retirement living, they’re struck by the realisation that they wish they’d made the move much sooner. And why not? Reduced maintenance burden, concierge service, safety and security prioritised through design and technology, continuity of local community and relationships with friends and family are all part of life at The Benson. Accessible kitchens, single storey floor plans, spacious living and dining areas, and bathrooms free of common hazards mean peace of mind for our residents and those that they love. In addition to the superb layout, the social offering is second to none. The Benson is equipped with various communal spaces; a club, library, bar, and dining room, available for bookings; residents relish the opportunity to socialise and entertain friends and family. Additionally, The Benson has been designed to ensure both residents and the treasures of a lifetime are safe and secure. Vehicle recognition, credentialed parking access, and integrated burglary-resistant windows in all apartments are a source of comfort for both residents and families. The Benson is Melbourne’s most desirable retirement community. A very limited number of residences remain. If you or your family are ready to make the move to retirement living at The Benson, call 1300 28 88 66 to book a tour. Christmas and an exciting New Year are just around the corner at The Benson. You may no longer be racing down the corridor at dawn on Christmas morning to see what Santa left for you under the tree. Instead, that same joy might now be rekindled as you watch grandchildren unwrap presents in a frenzy of excitement; or as you watch Denis Walter croon a carol to onlookers softly lit by candlelight; or as you enjoy a quiet night with an excellent dinner accompanied by a perfectly matched glass of red. No matter your age, the holidays should be a joyful time. Millions of us across Melbourne are busy hurtling towards the end of the working year. Some are readying themselves for an onslaught of fifty family members for a festive lunch, while others are packing the car and heading to the beach for a smaller, relaxed, seafood affair. Rather than visiting the busy homes of friends and relatives, many older Australians actually relish the idea of hosting at home. However, for over 70s, who are still in the family home, there are practical constraints that make hosting events – both during the holidays and throughout the year – more difficult. Manoeuvring around traditional kitchen can be tricky, and the thought of carrying in a Christmas lunch’s worth of shopping bags too daunting to even consider. Further, the logistics of sourcing and setting up a fresh Christmas tree are complicated and impractical, and once Christmas comes around, it’s easier to simply go to the homes of children and friends. 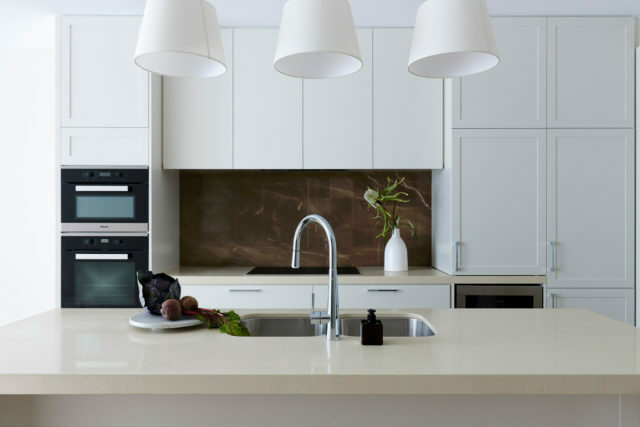 Instead, imagine hosting Christmas, cooking in a kitchen that’s been purposefully built with your needs in mind, supported by a concierge service that organises the delivery of all your gourmet fare, brought to your prestigious Toorak doorstep, ready for you to put on a festive feast to remember. For many the holidays ask us to question what we would like for the coming years. And for many they are also the perfect time to consider what continuing quality of life, in a more comfortable home, could be like. 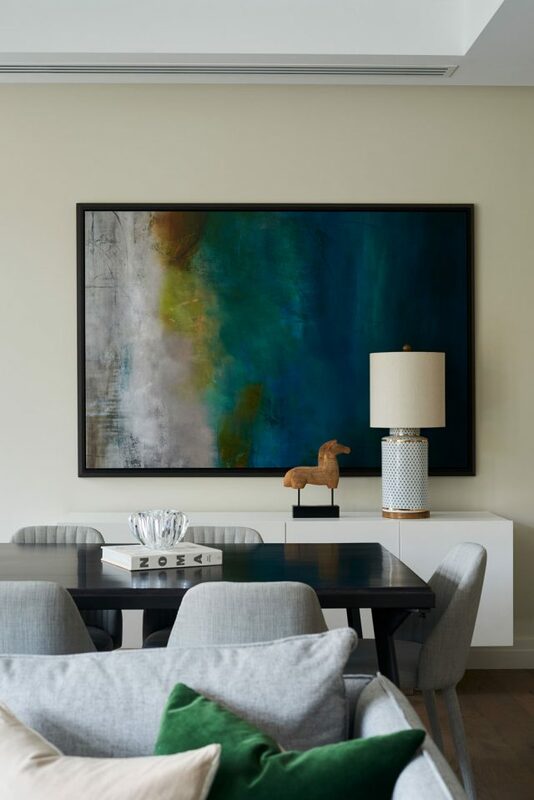 The Benson Toorak’s luxuriously designed apartments have been built to reinstate your independence, in a home where the everyday is easy; where life can be wonderful, every day. To find out more about these unequalled luxury properties in the heart of Toorak, contact our sales team for an appointment by telephoning 1300 28 88 66. 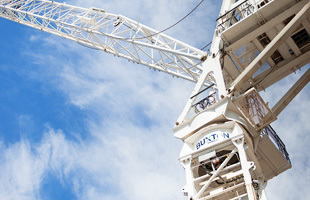 The builders, Buxton Construction, have been blessed with ideal weather in recent times and have been able to progress steadily with the major concrete pours for the basement and ground floor areas. The grandeur of The Benson is beginning to take shape on the Toorak Road streetscape. We look forward to seeing The Benson rise quickly to its full height over the next few months. As with any such project, The Benson is an evolving entity. Recent modifications to The Benson’s interior plans include the update of all windows to Tilt and Turn Windows for increased ventilation, hygiene and security, and external remote-controlled motorised vertical blinds will be installed on west-facing windows for a bit of added protection from the elements. Lead architect Simon Hanger from Demaine Partnership, gave an update of progress at a recent Friends of The Benson event hosted at The Kooyong Tennis Club. The display suite was relocated in late December, and can now be accessed through the St Peter’s Parish courtyard. We speak to Mike Stokes of Tract, the landscape architects responsible for giving our gardens an “established” feel. How has your design addressed the theme and character of The Benson and the adjoining St Peter’s Parish Toorak? Our take on the architectural design could be described as contemporary reflections on a period style. As well as the beautiful stone, St Peter’s Parish church provides a strong, timeless presence. Both it, and The Benson, exist in a leafy neighbourhood of period homes with generous mature gardens and large trees – both deciduous and native. Our design approach works on two levels. Firstly, in terms of local context, to harmonise the existing and proposed buildings with a landscape overlay sensitive to the neighbourhood character, including larger trees and the grassed areas often associated with churches. And secondly, to meet the needs of residents. What would you say are the biggest considerations and challenges for projects like this? The key consideration is to really understand the end user’s needs, expectations and sensitivities. The facility must exude an address of the highest quality and be such that residents are proud to say they live here and are keen to invite visitors to “show off” their new lifestyle investment. And the landscaping’s role in this? As many residents would be downsizing from garden lots in the leafier suburbs, they appreciate and expect well designed, mature and maintained gardens and external spaces. To this end, the gardens must present as generous, and well advanced, at opening and be then beautifully maintained. To meet, or even exceed, quality “resort” standards. Do you have any recommendations to residents for making the most of their available outdoors living spaces? Simply relax and enjoy the gardens – particularly the regular ongoing maintenance, as it’s now the responsibility of others! See yourself at The Benson?